A building was blown up in Norway with fertilizer and gasoline and soon, thereafter, a terrorist is shooting and killing almost 100 of 700 young people at a political retreat on Utoeya Island, Norway. killer-terrorist, Anders Behring Breivik aged 32, was dressed in a police uniform and he was methodical, playful and assured as he sought out each of his victims over a prolonged murder spree of almost 90 minutes. Victims felled by the gunman were shot again at close range to make sure they were dead and even those that swam away were shot – some escaped, some died. Only the arrival of Norwegian police brought a halt to an hour and a half of pure mayhem and terror. And we ask what purpose, what accomplishment, what statement are you making to this specificperpetrator? And the answer is without a further word from his own lips or mind these 4 letters – HATE. Yes, these 4 letters spell out a deep, dark channel of bitterness in the mind and soul of a 32-yr-old male who became captivated by hate as so many have been,now and in the past. Hate by definition is an intense disdain, dislike, bitterness toward specific persons, ideas or objects or any combination of these. Hatred is a consuming emotion that crowds out and eventually removes love from the hater’s being. For the hater, what is hated is not valued. And what is hated is desired by the hater to be removed or destroyed. Hate is essentially the polar opposite of true love which cherishes, nurtures, and protects specific persons, ideas or objects. Are we mainly lovers, or are we mostly haters? Why do we love what we love? Why do we hate what we hate? How can I become a person who loves more and hates less? Can I permit any place in my life for real and continuedhatred and bitterness? Some have said that hatred is like a cancer that eats and destroys one. Is this true? What do you reallythink about hate and its meaning? What do you really think about love and its meaning? We live in a smaller, world than ever – indeed, we are living in the smallest and most crowded world ever. And we are living in a modern world in many places, and a primitive world in some, although fewer, places. Information often flows and disseminates quickly and we all are a short distance away from many different people and places on the planet since we travel with the speed of jets, rockets, or light and electrons. What we do with our individual lives is important. And the collective wisdom, knowledge and heart and mind of nations and the planet is very important too. The big question is that as sophisticated and knowledgeable as we seem to be are we any better than we were at other times? In some ways, we are. Modern medicine, great libraries and arts, sophisticated devices and opportunities for many good things and events abound and all speak of great progress and wonders. On the other hand, we face the very real challenges of dissension, discord, distrust, fear, anxiety, worry and terrorism. We know there are hateful people and hateful events that occur throughout the planet. We also know there are loving and good people and events that occur throughout the planet. The questions we are left with, as others have asked, will the greater good overcome the greater evil? That debate is forever ongoing between pessimists and optimists, haters and lovers. Indeed, Utoya, Norway is a lesson and a discussion for many discussions, by many people, over many lifetimes. As the story of killer-terrorist Breivik unfolds his strong anti-Muslim and anti- Marxist feelings are discovered. As reported by Reuters, Regnhild Bjoernebekk of the Norway police describes Breivik as "indifferent to people he kills", with "no empathy", "no conscience" and "no remorse". This series of descriptors of the perpertrator, who has admitted to these killings, is a stark reminder of the mind of a dedicated, inspired and hateful personcaused in Oslo bombing and thedeadly shootings of so many innocent teenagers. 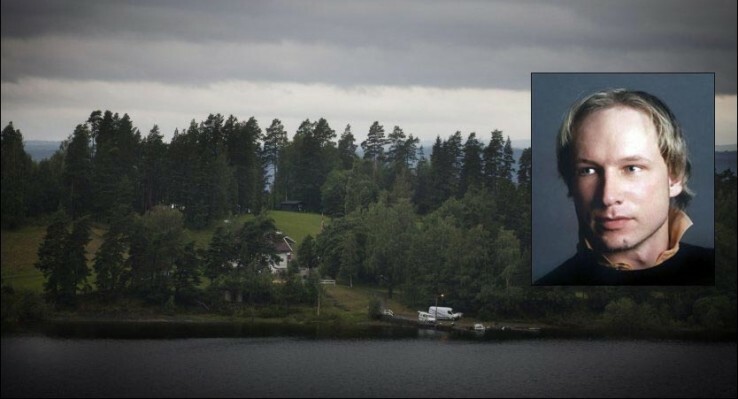 According to the Reuters report Breivik had as a political target the former Prime Minister, Gro Harlem Brundtland,who spoke earlier to the youth at the conference on Utoeya Island. Breivik was delayed in his arrival on the islandand the PM had left and could not be targeted. Currently, a Norwegian judge has sentenced Breivik to solitary confinement for up to eight weeks with a subsequent hearing. Breivik has pleaded "not guilty" and claims that his actions are justified and that blame is Norway's fault for immigration policies and the admission large numbers of Muslims into the country and for Norway's promotion of Marxist policies. This is an important start for us and represents an additional and new direction in our writing, but not our thinking. For the longest time we have been encouraged to promote better thinking and appoaches to living well. That's a tall order for sure, but challenges such as these are good for the mind and soul – as long as you stay in condition and run the course wisely. That's what we intend to do here and elsewhere –wherever we are and whenever we write – write well and write often. Just as a brief note I would like to acknowledge some people and places who have contributed to my web-writing successes. It was www.Suite101.com which served as my jumping-off point into this giant pool of web writing over two years ago and I particularly acknowledge Jill Browne who served as my original, kind and patient professional mentor at Suite101. Jill Browne also helped me become a Feature Writer in Scientific Inquiry as a part of the Science & Nature section, one of twenty different sections at the site. Jill now manages both the Outdoors & Recreation and the Science & Nature Sections at Suite101.com. Rosemary Drisdelle, served as editor of Science & Nature from 2010 to 2011 and she contributed to the success of this large and diverse section of writers and articles at Suite101. At that same site there are a host of other excellent, quality editors who help make the site a better place. I will not list them all to avoid leaving someone out who helped me to write better for the Internet along the way. "Thinklivewell" is a theme and a site we like to promote. We hope you concur and welcome you to join us and spread the word because you as a reader and internet sojourner are our best advertising vehicle and promoter. In the marathon of life there are many things to consider and all good marathons are well-thought and well-run. Thanks for being here and please come again.